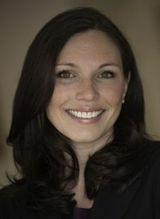 Ashley is a seasoned professional realtor with years of experience working throughout New Hampshire. Her over 13 million in sales, last year alone, ranged from first time home buyers, to luxury listings, equestrian properties and everything in between. Ashley takes pride in her ability to communicate and give honest advice to all her buyers and sellers. She is committed to providing her clients with the highest level of service to guarantee results. Ashley is licensed in NH and MA. Ashley is married and has two young children. She and her husband own a small gentleman's farm, raising dogs and horses. Her husband is a firefighter, a building contractor and a hands-on hard worker. Together Ashley and Justin combine their knowledge to renovate homes. 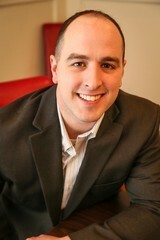 Chris, who is also licensed in NH and MA, specializes in helping buyers find their dream homes. Chris is committed to building relationships with his clients while providing them with highest level of service. Chris truly listens to his buyers and works hard to help them find the perfect home that will fit their needs, all while helping them every step of the way. Chris is married and has two fun loving boys. In addition to spending time with his family, Chris enjoys photography and music.